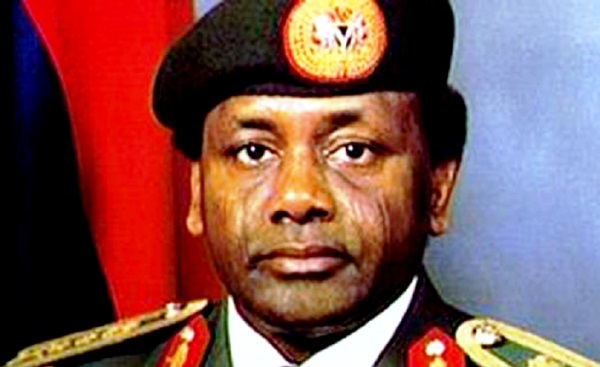 The Federal government has said that it is fine-tuning processes of repatriation of another over $400 million Abacha loot tagged, “Abacha 3”, according to a report by Nigerian Tribune. This is coming as FG revealed it will begin disbursing the recovered $322.5 million Abacha loot through Conditional Cash Transfers (CCT), to 302,000 poor households in 19 states of the country from July. Both the Director, Asset Recovery and Management Unit, Federal Ministry of Justice, Mrs Ladidi Mohammed, and Mr Tukur Rumar, from the National Cash Transfer Office (NTCO), made the disclosures at an assets recovery roundtable organised by the Embassy of Switzerland, on Thursday, in Abuja. The United Kingdom has also repatriated the sum of $73 million to the Nigerian government in line with her pledge to help Nigeria recover her stolen funds stashed in the country. Head of UK Department for International Development (DFID), in Nigeria, Ms. Debbie Palmer, speaking at the event said her government returned the sum $73 million to the Nigerian government in February, 2018 line with the desire of UK to support Nigeria in recovering her stolen asset abroad. The event was organised to intimate citizens and Civil Society Organisations (CSOs), on the efforts both nations were making on asset recovery after the Post-Global Forum on Assets Recovery (GFAR) held in Washington D.C. in Dec. 2017. Director, Asset Recovery and Management Unit, Mrs Ladidi Mohammed said necessary steps have been taken by the Federal government to repatriate the over $400 million from about four countries. On the Abacha 3, she said, “the money was not $500 million as speculated. It is about $400 plus, scattered around different places, Iceland of Jersey, London, France and Switzerland. “It involves a complex process that I cannot really explain here. But it is not $500 million as it is carried about,” she said. While confirming the repatriation of $73 million from UK, Mohammed, however, said this was not recovered through usual asset recovery process. She explained that it was through a case in court that was decided in favour of the Nigerian government and the money would be used to fund the 2018 budget. On the $1 million Diepreye Alamieyeseigha stolen fund for repatriation from America to Nigeria, she clarified that the money in question was not with the Federal government as some people have been made to believe. She explained that the Bayelsa State government, which is supposed to be the beneficiary of the cash was the one delaying the repatriation of the fund from the United States of America. She disclosed that the American Government as part of the agreement requested that the State Government provide a project that it is going to use the fund to implement, adding that Federal government has written to the Bayelsa State government and up till moment no response was received to act upon. She accordingly asked the non-governmental organisation who raised the issue about the whereabouts of the fund to take it up with the Bayelsa government and not the Federal government. Nigeria government had made commitments on beneficial ownership, tax transparency, asset recovery, transparency management of recovered funds and payments to victims of corruption at the GFAR forum in Washington D.C last year. Mr Tukur Rumar, from the National Cash Transfer Office, while disclosing that necessary arrangements for the commencement of the cash transfer programme in July, listed the 19 beneficiary states as: Niger, Kogi, Ekiti, Osun, Oyo, Kwara, Cross River, Bauchi, Gombe, Jigawa, Benue, Taraba, Adamawa, Kano, Katsina, Kaduna, Plateau, Nasarrawa, Anambra and Internally Displaced Camps (IDPs), in Borno. According to him, each benefiting household would receive N5,000 monthly derived from the National Social Register (NSR), that the 19 states were already on. He added that more states would also come on board later. He, however, said that NCTO had been making payments to the 46,000 poor and vulnerable households across the 19 states since Dec. 2016, adding that the number had increased to 290,000. Mr Iorwa Apera, National Coordinator, National Social Safety Net Coordinating Office (NASSCO), said 503,055 households were already on the NSR register from the 19 states, adding that by July there would be a social register for all the states of the federation. He told the participants that the Federal Government started with those states because those states signed a Memorandum of Understanding (MoU) with it agreeing to put in place certain infrastructure to empower the national register. “Some of the states delayed but the other ones were quick enough to set up those infrastructures that allowed us to start work there, but all the states are now on board as they have set up their state operating offices and donated office equipment to us. “As states come on board, we enrol and so they extend to the beneficiary register, and presently we are generating data in all the states now”, he said. Mrs Linda Ekeator of the office of the Special Adviser to the President on Social Investment said the Abacha loot was invested in the social investment programme because it was a programme that was already supported by the World Bank. She said that before the money was returned to Nigeria, there was an agreement with the Swiss government that it would be used for alleviating poverty and this was to be done with the supervision of the World Bank. The Ambassador of Switzerland to Nigeria, Mr Eric Mayoraz, said the 722 million dollars of the Abacha family money that was hidden in Switzerland, was fully repatriated in 2005. He also said that the 322 million dollars that was repatriated in Dec. 2017, was money that was frozen by the Swiss Attorney-General but was not domiciled in Switzerland but in other countries, mainly Luxembourg. He, however, said measures had been put in place to ensure that Swiss banks are not used to hide stolen funds from other countries. “That does not mean that there are no illegal or stolen assets now in Switzerland, but then there is another instrument I signed myself with the Ministry of Justice of Nigeria and Switzerland two years ago on mutual legal assistance and this is for new cases.